Microsoft would also be hoping the update to Windows 8 brings joy to PC manufacturers as well as increase adoption of Windows. 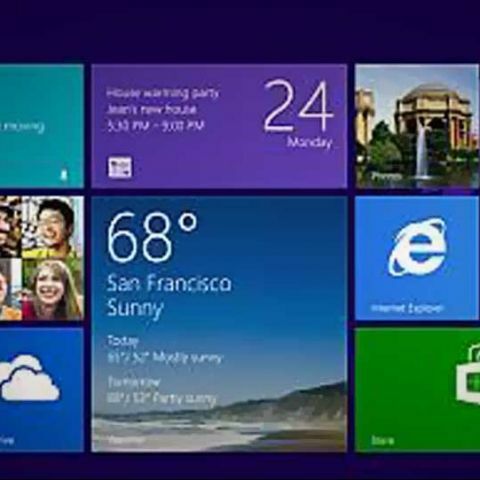 Microsoft is betting big on Windows 8.1 after Windows 8 failed to boost revenues for the company. Windows 8.1 Blue is not only a major improvement for the current Windows 8 platform, but also Microsoft's attempt to grab the leading spot in the OS market. With PC sales plummeting worldwide, Microsoft would also be hoping the update to Windows 8 brings joy to PC manufacturers as well as increase adoption of world's top desktop operating system. That being said, question still persists - will Windows 8.1 propel Windows 8 adoption? In our last week's poll question we asked your take on the same. 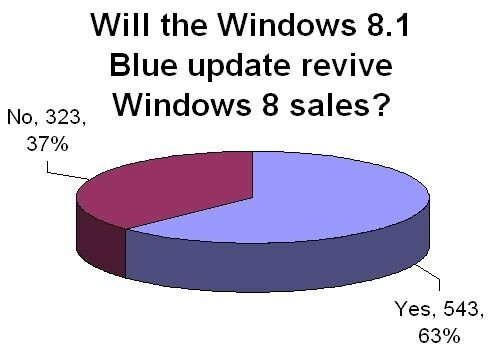 We received a total of 866 votes, out of which majority 543 respondents (63 percent) expressed optimism on Windows 8.1 Blue reviving Windows 8 sales. However, 37 percent of respondents, 323, said Windows 8.1 wouldn't be much of help for Windows 8. You can see a graphical representation of the poll results below. Do also share your views on this week's poll, where we ask you: "Apple calls iOS 7 the most significant change to the operating system since the first iPhone. Do you agree?" Windows 8.1 Deactivated. Can\'t Reactivate. Downgrading Back To Windows 8.?